I'm hardly qualified to speak on anything, yet since this is the Internet I'll do it anyway. It is not enough for the Christian to know that God is; we must be driven by a holy passion to know who He is. This is the premise of the latest Sproul book that I have read. The book is similar to Packer’s ‘Knowing God’ although much easier to read in my opinion. It is also slightly more philosophical. 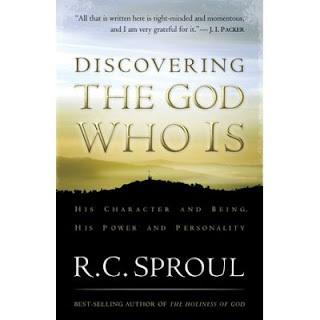 Sproul attempts to answer questions like, ‘Who are you, God?’ ‘Who made you, God?’ ‘How much do you know, God?’ ‘Does God change His mind?’ ‘Where is truth, God?’ ‘Can I trust you, God?’ It is a book of big issues. You’ll find words like omnipotence and omniscience but Sproul helpfully defines them and uses them in a way that anyone could understand. It is a simple book that deals with complicated issues in an interesting and challenging way. Perhaps the best chapter was “The Love that will not let us go.” Sproul reminds us of the greatest truth of the Bible, that God loves us. Even whilst we were still in our sin, God loved us. Sproul describes this staggering truth, that God has demonstrated His love towards us, at the cross and in our lives. God’s love is that of a judge, because God is the judge of the world, but God’s love is not judgmental. This for me was where the rubber hit the road in the book. Sproul compares our love to God’s love. He points out that far too often we are maliciously judgmental in our love. Under the cloak of piety, fierce scowls and bony, pointing fingers are masked in platitudes of false love (his words not mine!). We critise ‘in love’ and yet fail to show love at all. But God, who is the Judge of the world is not malicious. He does not approve of any form of sin and yet somehow God manages to love the unlovely and to care for those who are wicked. Sproul has (apparently) received his fair share of hate mail and said that for a period of time he would reply to this mail with a copy of the original letter with all the harsh words highlighted and a single question: “Did you really mean to be this severe? If so, return your letter once again to me and I will reply. I fear that we may need to ask this question of ourselves. I commend the book to you for reading. It is not as difficult to read as Packer but just as worthwhile.